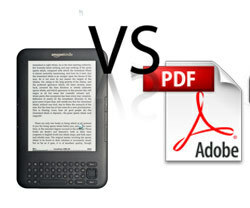 eBook vs PDF – which one do you need? The title for today’s blog is one which is frequently raised when either format is mentioned, what is the difference between the two formats people ask? Which one do I need? Since this topic is such a frequent question we have decided to explore the differences and the qualities of the two so as to avoid any further confusion. Firstly we will look at each and their definitions, it isn’t really a case of eBook v PDF, more which one is best suited to your needs and what it is you are trying to achieve. PDF’s on the other hand were traditionally static documents used in the business world for technical or business documents, originally developed as a way to convert documents for use within the print publishing industry. PDF’s work well in conjunction with graphic novels, illustrated eBooks, and other such titles with specific formatting. HTML5 technology has transformed how PDF’s can be viewed across devices, those lifeless, static documents can now, through software encompassing HTML5 abilities, include interactive features allied with a larger reach, low cost production and the capabilities of tools in the vein of analytical analysis for all parts of your flipbook make these a marketers dream. HTML5 allows for responsive content meaning your information can be viewed across devices, publishers can utilize interactive options such as including notes and bookmarks, embedding video and audio and including email and web links to create an experience that is truly interactive and engaging for the reader.